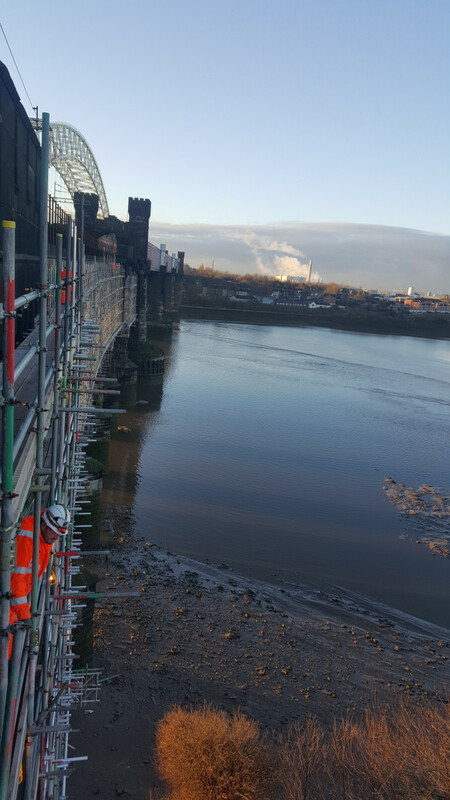 The principal contractor Network Rail presented the requirement to scaffold the Widnes spans 1-7 of the prestigious Runcorn Viaduct. 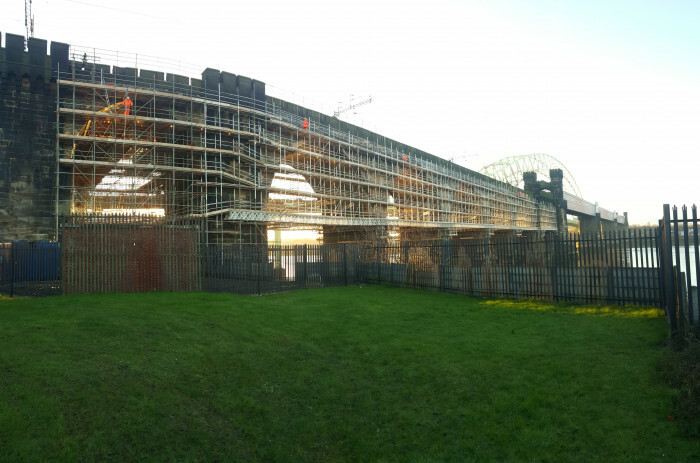 Six of the spans are located over the River Mersey and all spans are beneath the operational railway. 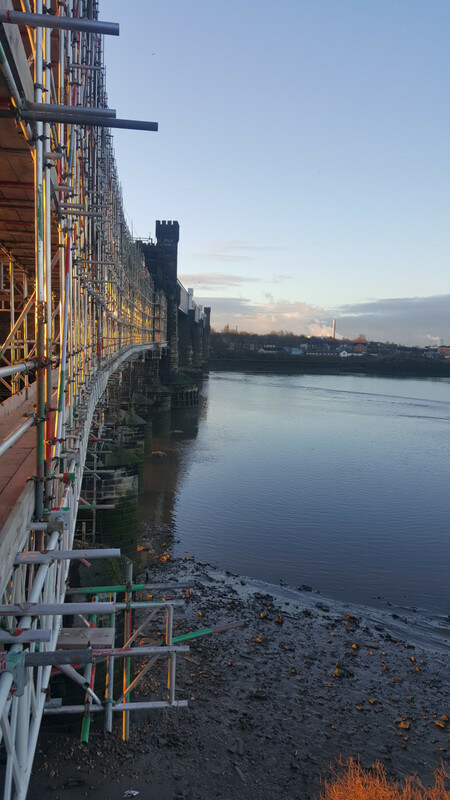 The tidal River Mersey presents working time restrictions and the volume and requirements of the scaffolding made the overall scheme both challenging and complex. 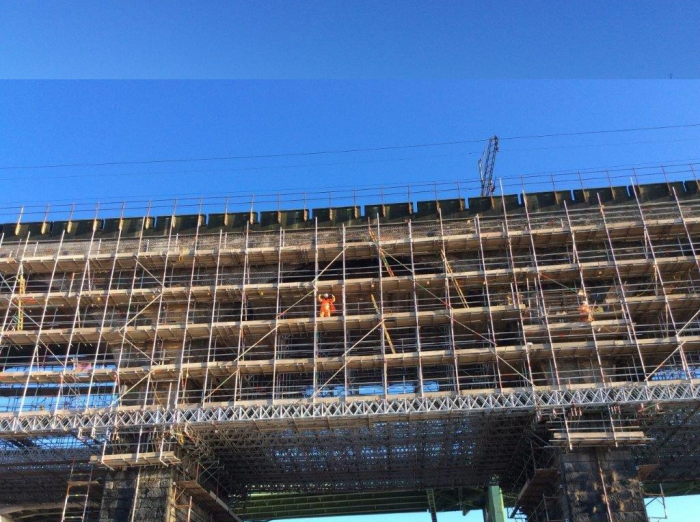 Following the presentation of the tenders to Network Rail, QED Scaffolding Ltd was awarded the contract for the scaffolding. 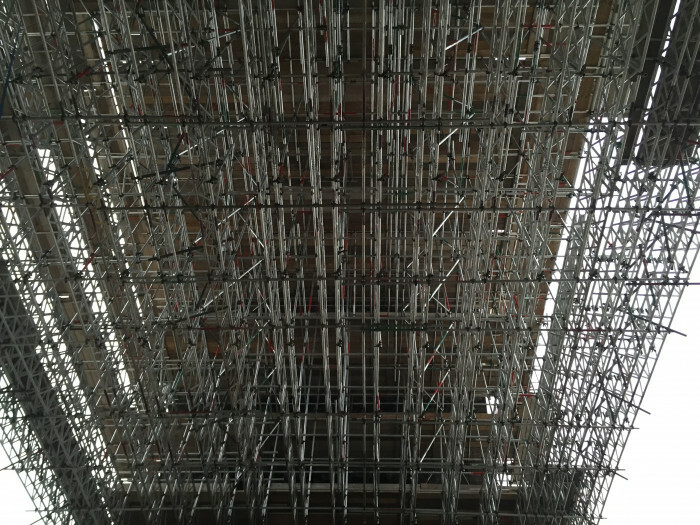 They were favoured not only commercially but on presentation of their scaffolding design solution, which offered access to all the required area of works. 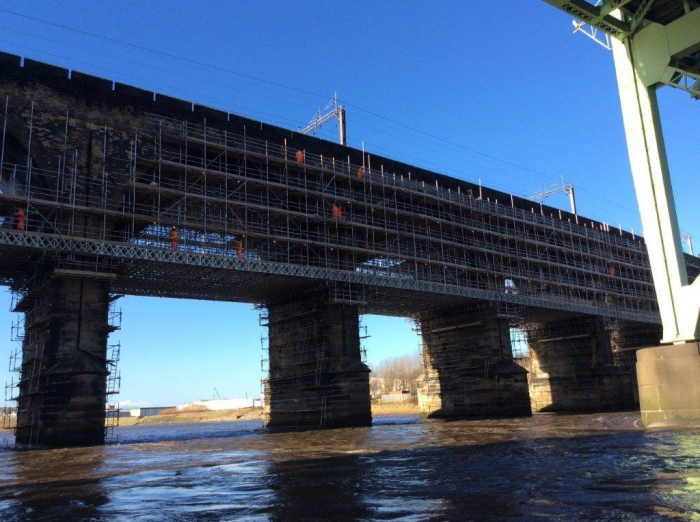 This was a tube and fitting scaffold design, which could be easily modified and adapted to suit the structural repairs. The design solution was presented with the essential support of their appointed design engineers RDG Engineering, who liaised with QED directors, material suppliers and Network Rail to ensure the designs would be signed off through the Network Rail design checking procedures. The design process and proving the calculations was a complex process throughout. 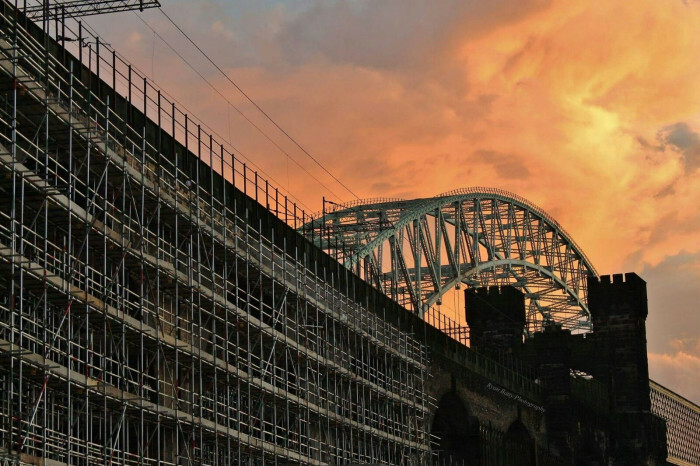 Many conventional aluminium beams failed on calculations due to the length of the individual spans, and with the boisterous River Mersey below and the rail network above preventing the use of cranes, heavy duty beams were ruled out on practicality as all the scaffolding had to be built by hand. 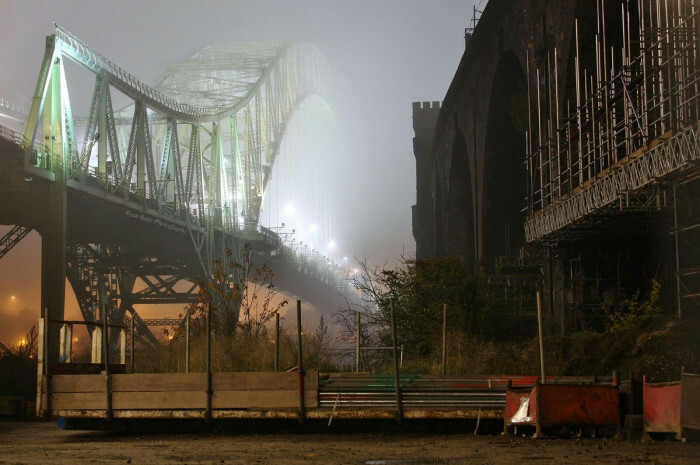 After careful consideration of the products available, the British manufactured and tested 750mm deep X beam supplied by George Roberts NW Ltd was identified as the only viable option. 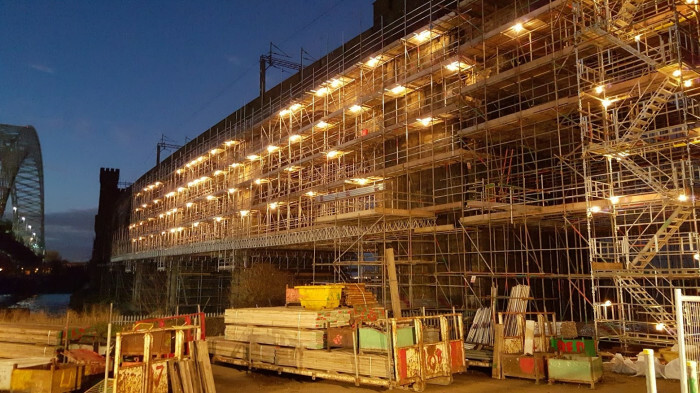 George Roberts NW Ltd as one of the leading independent suppliers of access, scaffolding and formwork equipment, were appointed the material supply chain partner for the project. 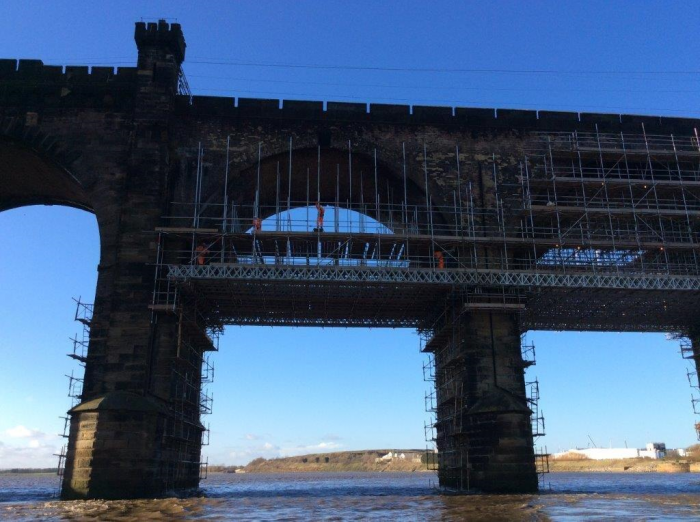 At this stage, George Roberts NW Ltd offered some essential technical support which resulted in the strength of the beam structures being increased through the use of a solid beam spigot. 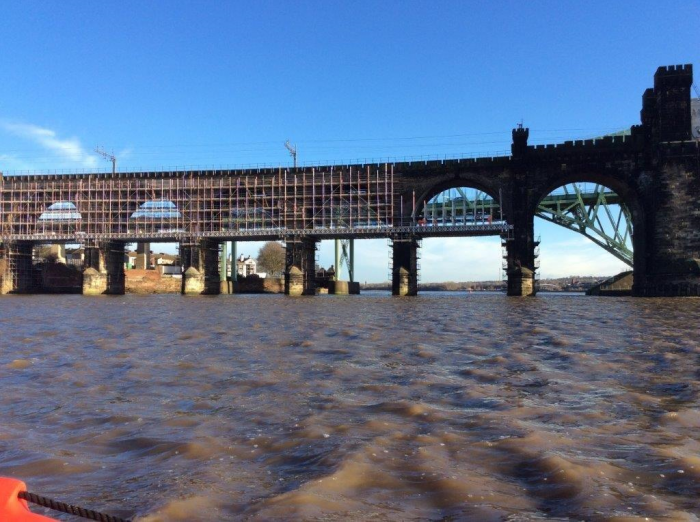 George Roberts NW Ltd offered further vital technical support, bringing QED’s attention to the potential consequences of bimetallic corrosion (materials corroding when either in or around salt water, as saltwater makes the airspace corrosive). 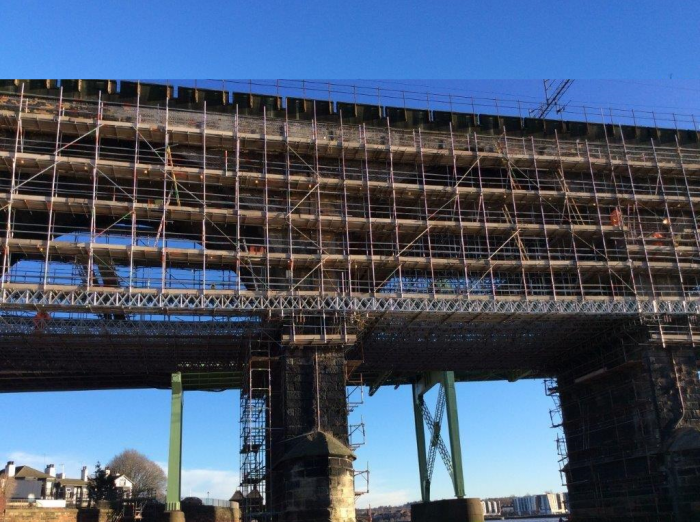 This resulted in George Roberts NW Ltd applying a specialist coating to the beams to eliminate the potential risk. 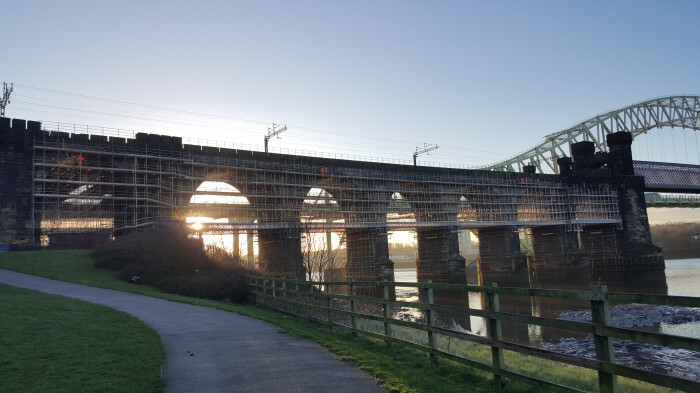 The use of aluminium tube was favoured by QED Scaffolding Ltd, as the scaffolding operatives were tasked with carrying materials in excess of 200 metres each way from the closest to the farthest point of the viaduct. As aluminium tube is much lighter, this reduced fatigue and eased manual handling across the project. Despite the hindrance of storms – Abigail (12-13/11/15), Barney (17-18/11/15), Clodagh (29/11/2015), Desmond (5-6/12/15),Eva (24/12/15), Frank (29/12/15), Gertrude (29/01/16), Henry (1-2/02/16) and Imogen (08/02/16), the scaffold was erected within the programme parameters and in accordance with all HSEQ procedures.